Chia-heng Seetoo’s practice at the firm includes capital market, merger & acquisitions, general corporate matters and deal-related advices. Seetoo has substantial experience in assisting public companies in Taiwan to conduct Rule 144A and Regulation S offerings of global depositary receipts, convertible bonds and overseas securities. He has represented and advised numerous local capital market transactions, including Taiwan initial public offerings by foreign holding companies and the issuing of Taiwan depositary receipts. Seetoo has handled a number of cross-border mergers and acquisitions on behalf of domestic or foreign companies in Taiwan, and has assisted a known foreign listing company to conduct internal investigation regarding the violation of ethical rules raised the employees of its subsidiary. 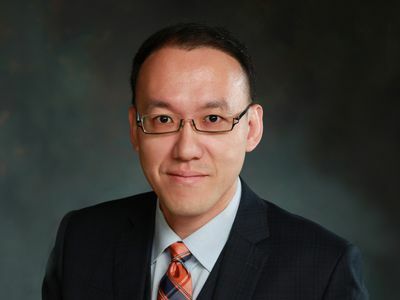 Seetoo was an editorial member of the University of Illinois Journal of Law, Technology & Policy during the 2006-2007 academic year, the first Taiwanese editorial member since the journal’s inauguration issue in 2001. Prior to joining Innovatus Law, Seetoo was a senior associate at Jones Day. He is qualified to practice in California and is fluent in Mandarin Chinese, English and Taiwanese. He also regularly gave lectures and taught classes in several domestic colleges (including Academia Sinica, the Taipei National University of the Arts, the Chinese Culture University, the Soochow University, and the National Central University) and in the Taiwan Venture Capital Association, Taiwan Corporate Governance Association and his topics include mergers & acquisition commercial contract drafting, antitrust laws, Securities Laws startup laws and empirical studies of law. In the past two years, Seetoo has written extensively about the proposed de-regulation of the electricity market in Taiwan under the newly legislated Taiwan Electricity Act, as well as introductions to U.S. and U.K. experiences of the electricity market liberalization and the respective regulatory frameworks. Represented renowned Taiwan-listed companies such as Neo Solar Power Corporation, Taiwan Semiconductor Manufacturing Company, Wisdom Marine Lines, Taiwan Glass Industry Corporation and Tatung Co. in connection with their respective offerings of Rule 144A / Regulations S Global Depositary Receipts or convertible bonds. Represented Yummy Town (Cayman) International, FX Hotels Group, Inc., Julie’s International Limited and Tainan Enterprise (Cayman) in their respective IPO projects submitted to GreTai Securities Market or Taiwan Stock Exchange. Represented Auto Serve Co., Ltd., incorporated in Japan, in the IPO submitted to GreTai Securities Market, which was the first Japanese company made an IPO in Taiwan. Represented domestic Securities underwriters such as Yuanta Securities & Fubon Securities in connection with Taiwan IPOs. Represented shareholders of a domestic internet startup to successfully sell their stakes to a Japan public company. Represented Micron Technology, Inc. (“Micron”) in its US$ 334 million acqusition of 24% of equity in Rexchip Technologies Corporation (“Rexchip”) owned by Powerchip Technologies Corporation, in addition to Micron’s US$ 2.5 billion acquisition of Elpida Memory Inc. (which controls 65% of equity in Rexchip). Represented Toys “R” Us Inc., in its acquisition of 70% of equity in Li & Fung Limited’s Toys “R” Us operation in Asia. Represented Fresenius Medical Care AG in its acquisition of Asia’s largest hem dialysis service provider, Asia Renal Care Limited. Represented Pacific Global Management Asia to acquire Gold Typhoon. Derek Te-Chih Sun and Chia-heng Seetoo, The Administrative Appeal System of the National Communication Commission 2007-2009: An Empirical Study, Academia Sinica Law Journal (ASLJ), Issue 10, March 2012. Chia-heng Seetoo, Note, Can Peer-to-Peer Internet Broadcast Technology Give Fans Another Chance? Peer-to-Peer Streaming Technology, Its Impact on Telecast of Professional Sports, and the Future of Digital Media on the Internet, 2007 U. ILL. J.L. TECH. & POL’Y 369, 369 (2007). Can a market mechanism eliminate TaiPower’s monopoly? A UK-US perspective on the liberalization of Taiwan’s Electricity Industry, Yowu Report, September 29, 2016. Revisiting Income Tax Law is the Fundamental Means to Resolve the Difficulties of Technology Contribution in Startups, DigiTimes, June 26, 2014. GTSM’s Go Incubation Board and the Rise of Crowdfunding, Commercial Times, March 13, 2014.